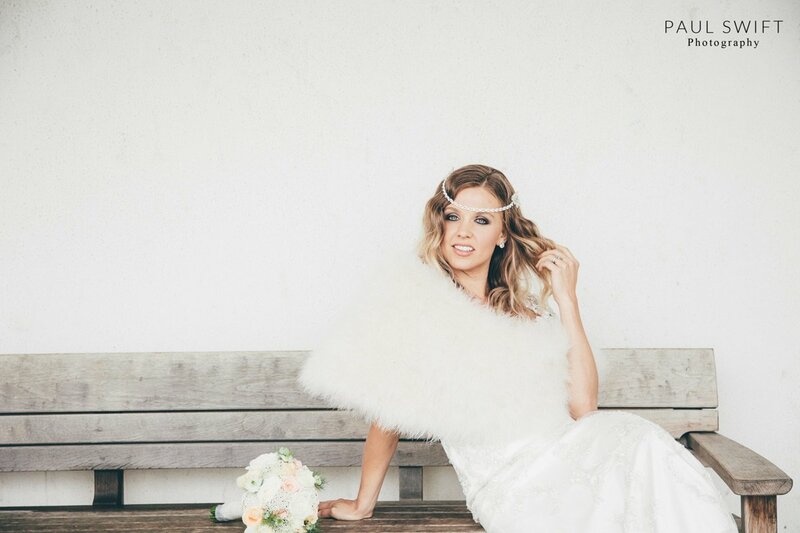 For this contemporary wedding shoot, I wanted a modern look with inspiration coming from the catwalk and the images I was seeing in this season’s bridal magazines. 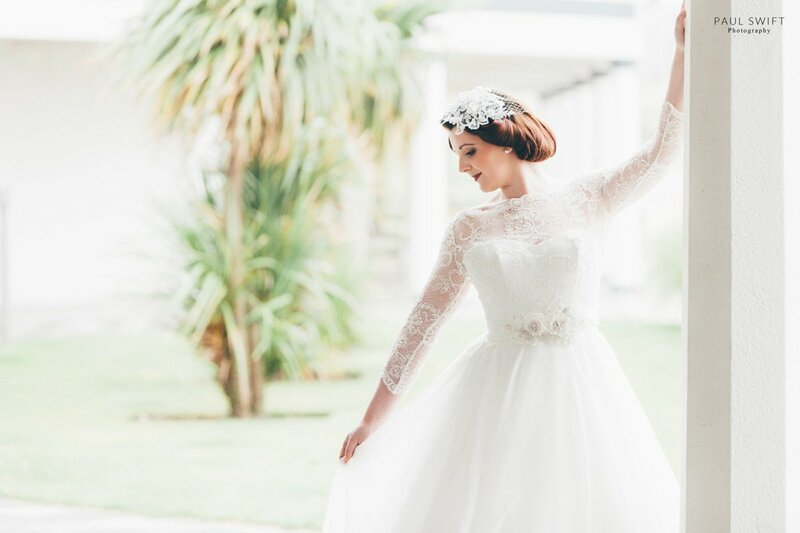 By using Pinterest and the wedding blogs and then a visit to the bridal store, Dreamcatchers of Kirkham with our model, Carla we chose the perfect dress. I had taken my scrapbook of ideas as a creative prop and ‘Tamora’ by Anny Lin fit the bill perfectly. The asymmetric bodice of the dress is contemporary and striking from both the front and the back, the full skirt is a dream to work with – light and romantic and the beautiful crystal design on the waistline is the perfect eye-catching detail. 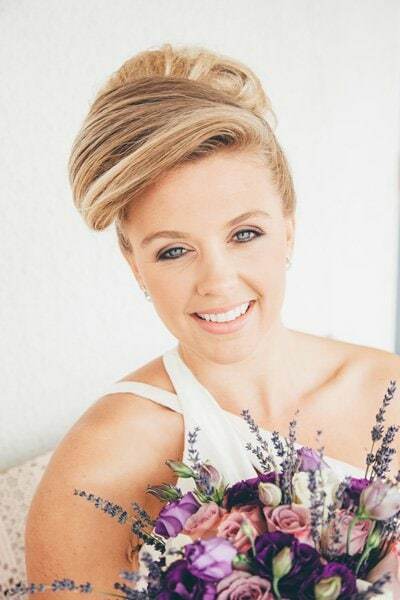 Clare of Beloved Bridal Hair created the perfect hair to compliment the look. Quite a contemporary roll and edgy quiff effect, and lovely jewelled hair piece to the back. 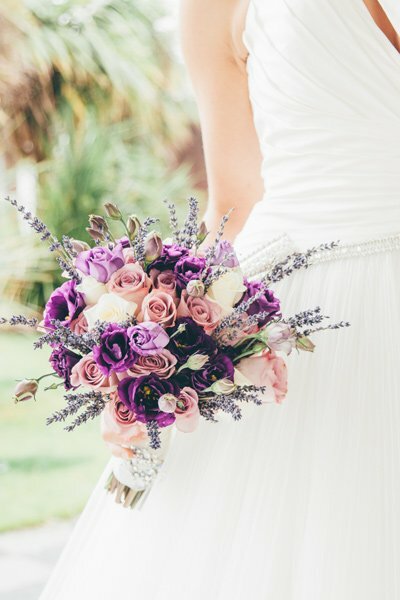 A simply stunning floral arrangement in purples and pinks was provided by Kate of Fabulous flowers by Kate. With all of this in place, I chose a variety of backgrounds at Marine Hall to vary the images from a vibrant red brick wall for contrast to the white colonnades with the palm trees for architectural interest. There’s lots more wedding inspiration on the links at the bottom from each of the styles from the shoot.